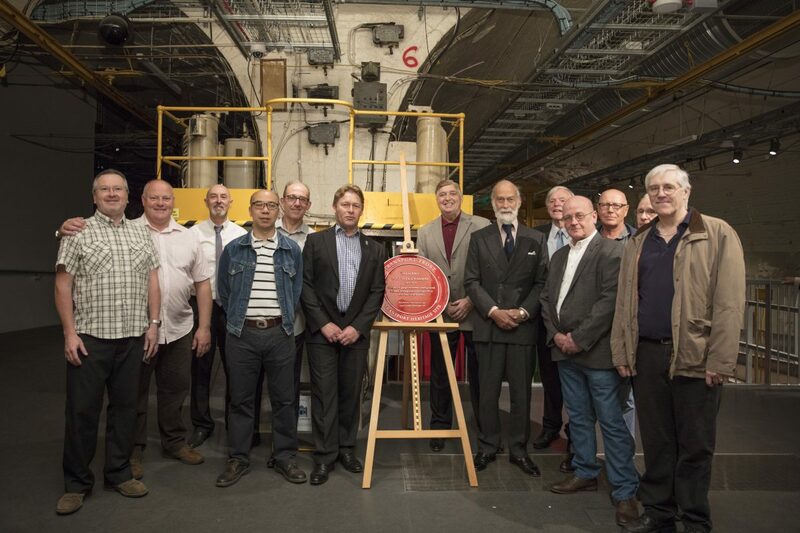 We’re delighted to announce that Mail Rail has been revealed as the hundredth location in the UK to receive a ‘Red Wheel’ plaque. 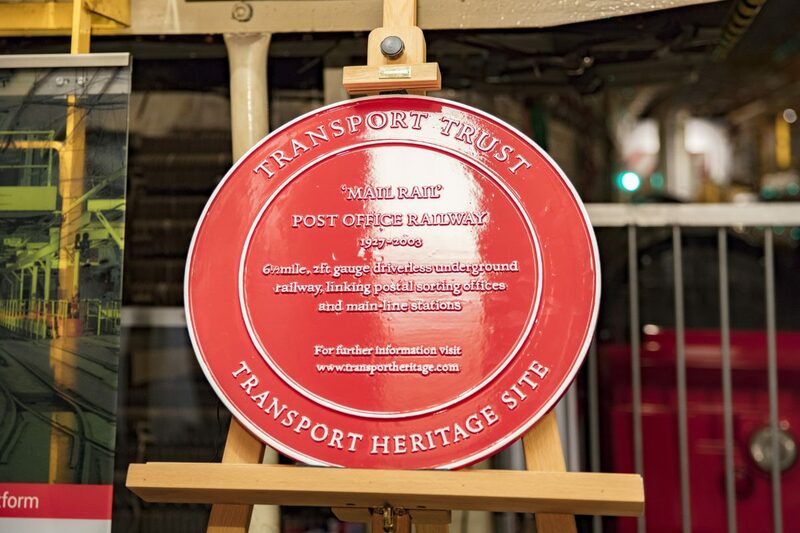 The plaque, which will be fixed to the façade of the building, formerly the Mail Rail engineering depot, is being awarded in recognition of its legacy in the development of transport, and of its unique features. 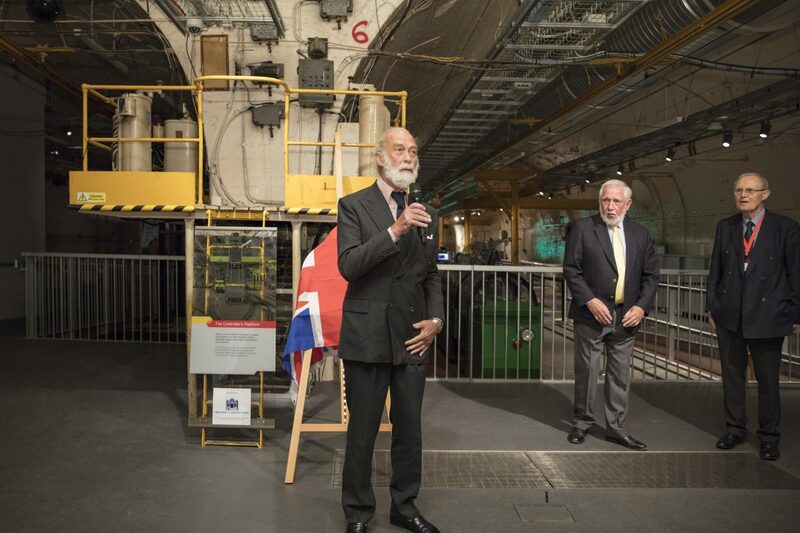 The plaque was unveiled by HRH Prince Michael of Kent at a ceremony on 14 May 2018. 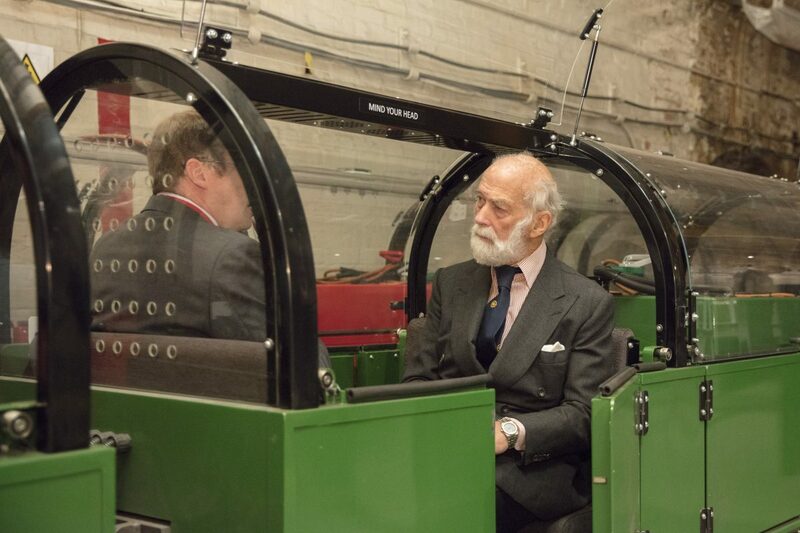 Prince Michael attended the ceremony in his capacity as Patron of The Transport Trust, which runs the ‘Red Wheel’ scheme. He has previously unveiled ‘Red Wheels’ at the world’s first purpose-built motor racing circuit, Brooklands, and at the Camden Roundhouse (a rare turntable engine shed). The Transport Trust was founded in 1965 and is committed to promoting Britain’s proud transport heritage – nationally and through all modes of transport. It works in partnership with historians, industrial archaeologists and engineers to determine the most worthy candidates. Chris Taft, Head of Collections at The Postal Museum said: “We’re absolutely thrilled to be receiving this accolade, and delighted that the Mail Rail remains so relevant today as part of The Postal Museum. 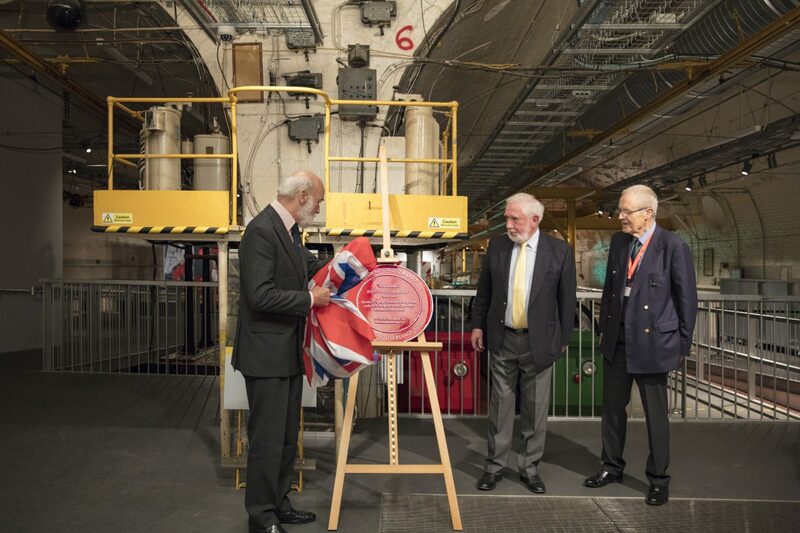 Stuart Wilkinson, Chairman of the Trust, added: “Britain has a proud transport heritage: development of her transport infrastructure facilitated the Industrial Revolution and British engineers developed transport systems in many parts of the world. We believe that it’s really important to raise awareness and appreciation of the principal heritage sites for younger and future generations. The six-and-a-half mile long, two-feet gauge driverless underground railway was opened in 1927 and linked postal sorting offices to mainline train stations. The line ran from Paddington Station in the west of London, to Whitechapel delivery office in the east before it was closed and mothballed in 2003. Housed at Mount Pleasant station, the original maintenance workshop where engineers carried out repairs around the clock was repurposed into an interactive exhibition space as part of The Postal Museum, which opened in 2017. It showcases the industrial power and ingenious innovations that used to transport billions of letters, parcels and postcards safely through the city and onto their final destination across the country and around the globe. Now, people can take a 15-minute, fully narrated interactive train ride through the network’s tiny tunnels, stopping at old platforms and afterwards exploring interactive galleries housed in the cavernous former engineering depot. Find out more here.